Current: Why Shop with us? 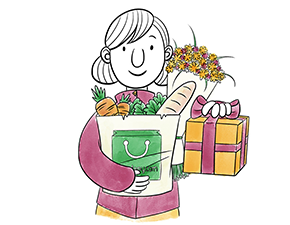 ShopAppy is about supporting your local, independent shops – to spend money in your local community to benefit your local community. The high street is under threat from massive international companies (many that don’t pay tax in the UK) and huge chains and supermarkets. ShopAppy disrupts this by providing you with all the products and lovely independent shops in your area in one place – a one-stop-local-shop! By shopping local you support your local economy, local shops of all kinds and local jobs, preserving your area’s unique character, supporting innovation, local suppliers and saving our high streets from becoming clone-towns. ShopAppy does not take any commissions from shops, meaning every penny you spend (minus bank charges) goes straight to the shopkeepers. ShopAppy is shopping that truly makes you feel good.